Biology major Ashley Rutherford drinks three energy drinks while working on a paper for her American literature class. Freshman art and advertising major James Thompson said he prefers coffee and drinks it more than three times a day. With finals right around the corner, college students prepare themselves for their upcoming hectic schedules by drinking coffee and energy drinks, and using other stimulants to accomplish their heavy workloads. At the 7-Eleven on Liacouras Walk, students can browse through seven different kinds of energy drinks, like a Rockstar vanilla latte or a Red Bull. Another new product displayed on the shelves is Vojo Extreme Energy Mints. Like similar products, Vojo brags on its label that only three mints have the same caffeine value as a cup of coffee. Other products like Stay Awake and NoDoz pills list their caffeine values at 200 milligrams, half the standard dose of caffeine. But caffeine products like NoDoz can cause side effects like nausea, shortness of breath and migraine headaches. Bucks County nutritionist Tricia Mayers said more college students are coming to her office after a week of caffeine pills and coffee. 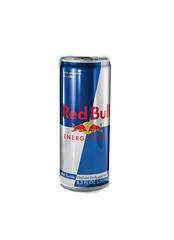 Caffeine and energy drinks should be used on an occasional basis and be limited during the week of finals, Mayers said. “Any kind of caffeine intake that involves a higher than usual dose of caffeine should be avoided,” she said. Besides caffeine, students turn to riskier methods, using stimulants such as Adderall to prepare for exams. According to the University of Michigan’s Substance Abuse Research Center, a 2005 study showed that 10 percent of college students use stimulants illegally at some point in their college years. Adderall is commonly prescribed for students who have been diagnosed with ADHD, but many students use it as an alternative method to enhance their attention spans while studying for finals. Jen, an education major, has tried Adderall multiple times and said she enjoys the effects of the drug. “I like that I can stay awake for almost 36 hours and not worry about falling asleep,” Jen said. Jen admitted that her Adderall use has become a problem. After trying the drug from a friend last fall, she needed to up the usage of the drug in order for it to have an impact on her body. “I used to be fine with the smallest dose, but now I’m taking an even higher dosage,” Jen said. She said it isn’t hard to find Adderall on campus, and most of the time she spends less than $20 for a few pills. “You just have to ask around,” Jen said. Adderall side effects can include restlessness, loss of sleep, weight loss, irritability and nervousness, Bucks County general practitioner Dr. Jason Fox said. “Each person reacts differently to using Adderall, but there have been reported cases in which college students have experienced alarming side effects ranging from suspicion and paranoia to hallucinations,” Fox said. Fox said students should find alternative, healthier methods when it comes time to study for finals. Senior English major Jessica Linn learned over the years how to cope with the stress of finals week. Sophomore film major Terrance Atler found that caffeine and other stimulants don’t work when it comes time to prepare for finals. Stacy Lipson can be reached at stacy.lipson@temple.edu. One man can’t elicit much change. But I elect to help by giving Tinsel Town somewhat uninteresting storylines based on actual events to appease the masses.